Beautiful treed and serene parcel with a gentle shoreline on the water's edge, mature trees, almost an acre of land & in a waterfront community. Easy access with county maintained roads almost to your property. Muskrat Lake just out your back door. Wonderful sunsets from the East to the West and wildlife abound. The property faces South for full sun exposure. Area of nice homes! Area of great producing wells (neighbor's well is 100 gallons a minute, see attached!) and the drain field has been installed. 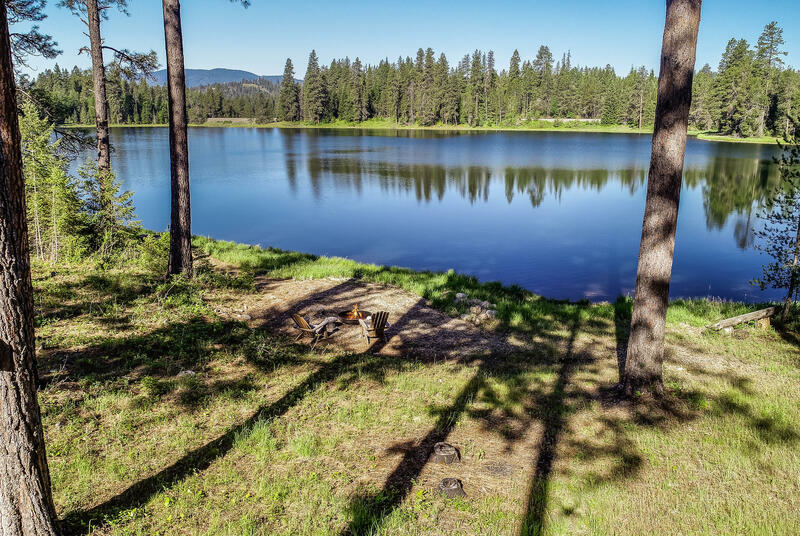 This property is worth looking at, mixture of trees, phone, power, surveyed and privacy, North Idaho at its best!